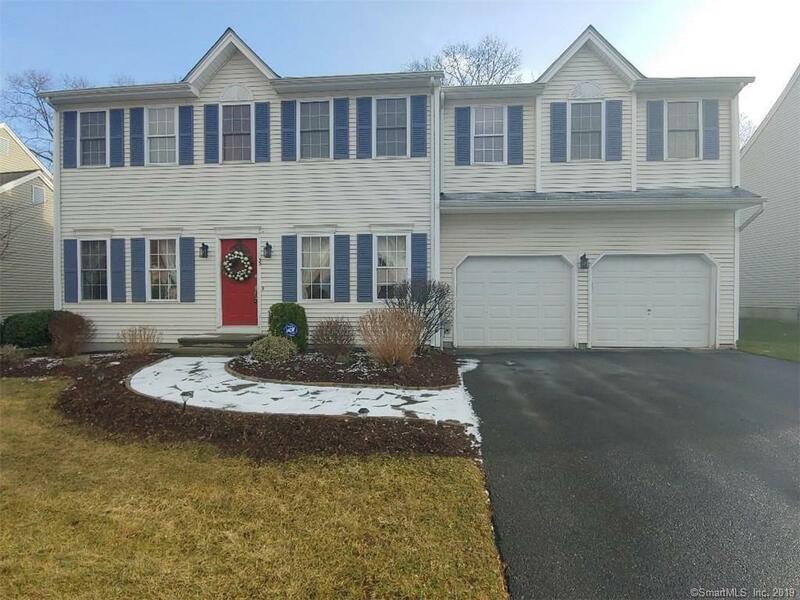 Enter this amazing home into a 2 story foyer with wonderful open floor plan, offering 9' ceilings in Milford Hunt boasting sun filled gorgeous kitchen featuring ss appliances, granite, island with breakfast bar, open to eat in kitchen with atrium, cathedral ceilings, and skylights. Living room is open to kitchen with wood burning fireplace and gleaming hardwood floors leading to a formal dining room and family room. Upstairs find a luxurious master suite with master bath/spa featuring double vanity and jetted tub. Home offers large bonus room for game room/office/work out room and 3 additional spacious bright bedrooms. 2nd bedroom affords cathedral ceilings off bonus room. Great guest quarters. 3rd bedroom offers a walk in closet. Out back find a stone patio with custom stone wall enclosure for the ultimate in entertaining. Home is situated on a little over a quarter of an acre on quiet street minutes to all major highways, shopping and train. City sewer, city water, gas and central air. Won't last. Click on video icon to do a 3D tour walk through.